Call today to get fully-loaded Internet, TV & Phone Service for your home at prices that won't break the bank. 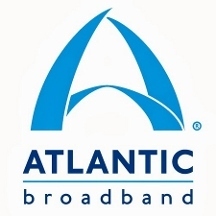 Atlantic Broadband offers amazing TV services, crazy-fast Internet, crystal-clear unlimited Phone service. Chose individual services or bundle services together for extra value. When you bundle TV service with high-speed Internet, or Phone service, you get upgrades including premium channels, DVR service and more all at no extra cost. Our competitors ask you to pay extra for popular features that add sizzle to TV. But with our bundles, you get TiVo® DVR service, access to Netflix streaming right on your TV, over 10,000 On Demand movies & shows as well as Starz & Encore included, and HD picture and sound for one low monthly price. Services are subject to availability. Please contact Atlantic Broadband for details.